Despite the promise of the category, “blended malt whiskies” (the artist formerly known as “vatted malt” whiskies) have failed to take off as prophesied. Probably this is because the distinction (a blend involving several malt whiskies, but no grain whiskies, whereas a “blended scotch” like the ubiquitous Johnnie Walker contains several malt whiskies and one or more grain whiskies) is a little geeky for the average consumer. Compass Box has made a name for the category, although not all of CB’s whiskies are blended malts. Wemyss has done a niche business making middle- and high-end blended malts. Finally there is the stalwart of the category: William Grant & Sons’ own Monkey Shoulder. I must admit that I’ve done my faithful readers and fellow value-seekers a disservice by taking this long to get around to mentioning Monkey Shoulder. At $25 – $30, if you haven’t tried Monkey Shoulder before you might as well stop reading here and go buy a bottle. It’s not the best whisky in the world, but such a solid whisky at such a great price deserves a spot on basically everybody’s home bar. Monkey Shoulder is labelled “Batch 27” as a reference to the original experimental batching of 27 casks. Now, runs of Monkey Shoulder are made 27 casks at a time, although the batches are not individually numbered. The vatting is a mix of William Grant & Sons’ three distilleries, all located in Dufftown, in Speyside: Glenfiddich, The Balvenie, and Kininvie. (Kininvie was built in 1990 on the grounds of The Balvenie and makes malt that is mostly used for blends.) All three are from “first-fill” ex-bourbon casks. Sometimes malts from other, undisclosed distilleries might be included in the vatting. The ages of the whiskies are unreleased, but you can basically assume they’re young. 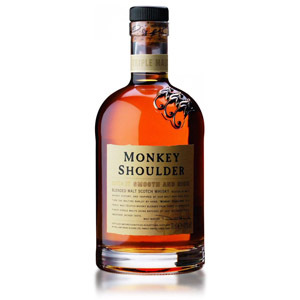 For what it’s worth, “Monkey Shoulder” is the nickname for a shoulder injury experienced by maltsters after long hours of manually turning malt on a malting floor. Nose: Crisp, clear malty grains, almost beery. A touch of lemon. No nose-tickle or heavy scents of oak, just lightly sweet and round. After a rest in the glass, there is a heavy layer of vanilla extract. 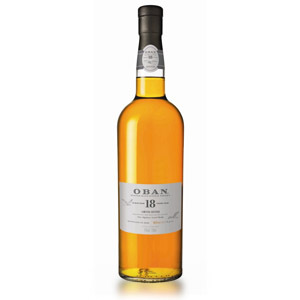 Palate: Initially a wave of lemon peel and caramel accompanied by slight tongue burn. This passes quickly, leaving nougat, mineral water (almost like tonic, with a touch of herbal-like quinine) and vanilla frosting. Finish: Short. Nougat all over, nutty and sweet, but quickly vanishing with a fading hint of dry oaky tannins and a bit of charcoal which leaves the mouth wishing for a little better balance. With Water: A few drops of water amplify the citrus in the aroma which (when paired with the vanilla notes) remind me of lemon salt-water taffy. The palate has less burn, and tastes a little rounder – more “filled out”. I recommend a little water with this. Overall: This is the kind of dram that you show to your friends who think “whisky” means something you add to Coke. Then you tell them it’s only $30. A gentle introduction to the world of malt whisky, with a very welcoming profile and a gentle effect on the palate, all with a nice array of grains and sweets that showcase what good middle-of-the-road ex-bourbon Scotch malt whisky is like. The finish could be better-balanced, and the aroma could use more lemony/fruity top notes, but that’s splitting hairs at this price. This also makes it a reliable staple for the “low end” section of your cabinet, something you can easily toss back on ice without guilt, or mull in a tulip glass after a meal. Or, hell, you could even make cocktails with it (a practice encouraged by the brand). A jack-of-all-trades, if you will, but master of none. Acquired: 750ml bottle, K&L Wines and Spirits, Redwood City, CA. $30. Uncanny! I just picked up a bottle of this at the supermarket on Saturday. Poured a dram in a Glencairn and played around with it for a bit. Quite the alcohol heat undiluted (young) . Water calmed it. Way more complex than I anticipated. More going on than JW Black. Also tried it on the rocks with club soda…meh. Good with just a couple cubes. Found the sweet spot using a rocks glass and a touch of water. Let it rest to disperse the heat. A great addition to the everyday lineup! I so desperately wanted to like this blended malt. There’s no reason it shouldn’t be great, right? All of the individual ingredients are there with no filler. But alas, it stumbles and bumbles through heat (nose) and bitterness (finish) leaving us with disappointment, albeit at the savory $30 price point. At that price tag (OK, maybe $5 higher), Buchanan’s 12 or Glenlivet 12 call my name louder. And lest we forget that CB’s Great King Street (Artist Blend or Glasgow Blend – your choice) swims in the same value-seeking pond. I think this shines in the “want a glass of scotch but don’t want to think about what I’m drinking” category. I like it as a second glass after I’ve poured something expensive, and just want some more scotch on my desk while I’m doing whatever I’m doing on my computer. While, granted, a lot of blends fit that same bill (including Bank Note, which is still a better value than Monkey Shoulder), I do find blends to be distracting neat – that acetone note just creeps in and reminds me what I’m drinking, and that it probably should have some ice… and maybe hell some club soda… etc. Of course, GKS is superior in every way, but it’s also $15 more (at least here). $20 more if I can find a deal on the ‘Shoulder at Trader Joes. Still, I’ve had a bunch of whiskies that I should have liked on paper (and really wanted to like) but just didn’t. (Uigedail and Tom’s Foolery come to mind.) So I get where you’re coming from. Cheers! Club soda seemed to really wash this whisky out for me. Like I said, a wide rocks glass to let the alcohol escape really worked. I read somewhere that this one benefits from oxidation after opening. Won’t ever replace single malt or bourbon but is something different! I’ve had a 1L bottle of this sitting waiting to be opened for over a year. My dad brought it up from the States, shortly before we got it here in Ontario. I read plenty of positive reviews and some claiming it to be bland. My expectations were very low as I don’t prefer blended. Well, it’s been open for about a month or so now, and sampled three times….. at $35 US for 1L, this is outstanding value whisky. A staple. I like GKS Artist, but I may like this better. Great review, and while I was long hesitant, truly a must try. I picked up a bottle of this a year ago when it was seasonal-only in Ontario. The problem is that the price on it is the same if not higher than Glenlivet 12. I found Monkey Shoulder a decent alternative, for a change if nothing else. Then I found it at a duty free for 20 bucks a litre. Damn if I wasn’t at my volume limit. Got this for Christmas for one brother in law, and received it from another. On sale for 30 from 35 here in NH. Must say it’s not for me. Hopefully it will grow on me, or it will be on mixer duty. The brother in law I got it for is a big JWB fan, doubting this will usurp it for his staple dram. Could have tried GKS artist or Glasgow for the first time for a mere $6 more, oh well. Just my experience, anyway! I had this about a year ago, a bit more bite on the finish than I prefer but not too bad. But for a few dollars more I’d go for Sheep Dip, which I’ve found to be a very pleasant and smooth sipper. So, I am not a scotch drinker. Not much of a heavy drinker. Usually just have red wine. But, I become fond of old fashioneds with bourbon. But, I like mild smooth bourbon like Koval. I bought MS just to have for a scotch drinker friend. He likes the 18 year old Chivas. I tried MS last night with a couple of drops of water and an ice cube. I really liked it. Malty, smooth. Maybe a novice but I liked it better than the 18 year Chivas. I know that makes no sense probably to most readers of your blog but to each their own. I haven’t figured out a drink to mix it in but experiment away. Thanks for the write up. I tried it based on your review. I think I would probably enjoy Monkey Shoulder more than Chivas 18 as well. The “big house” blends like Chivas and Johnnie Walker aim at the middle segment of the market, which they think means lightly-flavored whisky (this used to be true in the 70s and 80s, when whiskey was competing with vodka for the “my dad drinks whisky, I want something else” crowd). There’s certainly a time for whisky with light character, but I tend to prefer the density and fuller flavor of malts in general, and as Monkey Shoulder is made up of all malts (even though it’s a “blend”), it scratches that itch for very little cash. Cheers! Just grabbed a bottle of this for 23$ here in IL excellent value I think. Here in Ontario, we get insanely gouged. MS is $65 per bottle. I’ve never tried it, but I’m thinking about it. Although Compass Box GKS Glasgow or Artist are each about $10 cheaper than MS. Thoughts? I would choose to drink GKS Artist’s Blend over Monkey Shoulder any day of the week if they were the same price here. 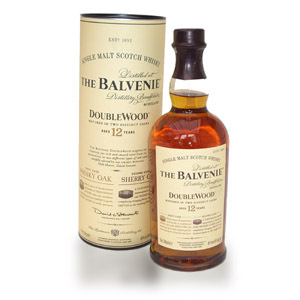 In Pennsylvania, the good 12 years are $50 or more and Balvienie Doublewood is $65. I tried Monkey and…wow… for $30, it is my new fav. Glen, Glen and MaCallan can go scratch! I am a speyside guy. 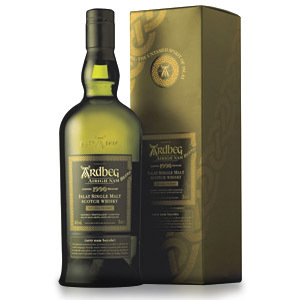 However I do like some Highland single malts and do like, once and a while, something smokey and peaty. My Boss is from Scotland and has a small fortune in single malts behind his bar. Although he has bottles that cost more than my car, we always come back to Glenlivet 15 on the high side and the 12 on the budget side. I’ve had the luxury of tasting some of his really expensive Speyside, I think Monkey Shoulder is exceptional for the money. I have also really enjoyed some of the Trader Joe plain label 14 and 18 year olds they sell around the holidays. Believe it or not some of these whiskey’s taste much better than the $5k bottles I have had the opportunity to taste and my boss, who owns them, would agree. On the smokey peaty side, try McCarthy’s single malt. It’s made in Oregon and I believe tastes better than laphroaig or Lagavulin. Maybe I have weird tastebuds. To each their own. Slainte! Was going to try a bottle of this for the first time last week. Then i asked the liquor store owner what he preferred at around the $30 price point for Scotch whiskeys. He recommend i try JOHNNIE WALKER BLENDERS’ BATCH WINE CASK BLEND, said he prefers it over JW Black. I am not sure what to make of it yet (regular bourbon drinker that wants to find a great value in Scotch) I also just finished a bottle of Knob Creek small batch (100 proof) before giving this Scotch a go, and so far its like having Bud Light after regularly drinking porters or IPA’s. Maybe my expectations are off, but now I am weary of trying any other budget Scotch whiskeys. The JW Wine Cask Blend isn’t terrible for what it is, has a nice buttery berry pastry palate. Would be interesting to see what you or other think of it compared to other Scotchs at similar price. Single-malt (scotch or otherwise) and blended scotch are both categories that are lighter in style and subtler in flavor than bourbons. That’s just something that you’ll have to get used to, coming from bourbon. Your beer analogy is apt, although I would say it’s more like trying a Kolsch or session lager or Hefeweizen after drinking mainly porter. If you want to try something wildly different and with arguably more “flavor”, try a peated single malt, like Laphroaig 10. Another approach would be to try a heavily sherried scotch, which will carry a lot more fruit and heavier flavors, and get you closer to the profile you might be used to. The cheapest one I can think of is Glenmorangie Lasanta for around $40. Better than that would be GlenDronach 12. If you don’t mind high-proof, try Aberlour abunadh which is the probably the “heaviest” single malt I can think of. Generally, though, the cheaper scotches will be on the lighter side – that’s the style… especially for blends like Johnnie. I’ve never had the wine cask – their rye cask in that same line was decent for the price, but still much lighter than a bourbon. Cheers! Picked up a bottle to try as it was on offer in my local Tesco. This is more gentle than some whiskys I’ve tried and I don’t think my whisky drinking visitors would be offended if I gave them a glass or two. 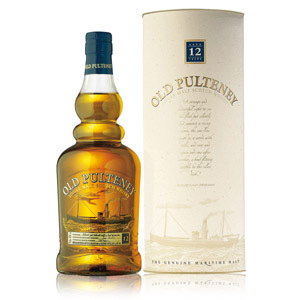 A great choice as an everyday sipping whisky and at the price I can always keep a bottle on hand and save my good stuff for special occasions.